When it comes to eating out, residents of Maadi have been blessed by the tons of options they have. Indeed, Street 9, has been a sort of the central spot for established restaurants, and for newcomers alike. 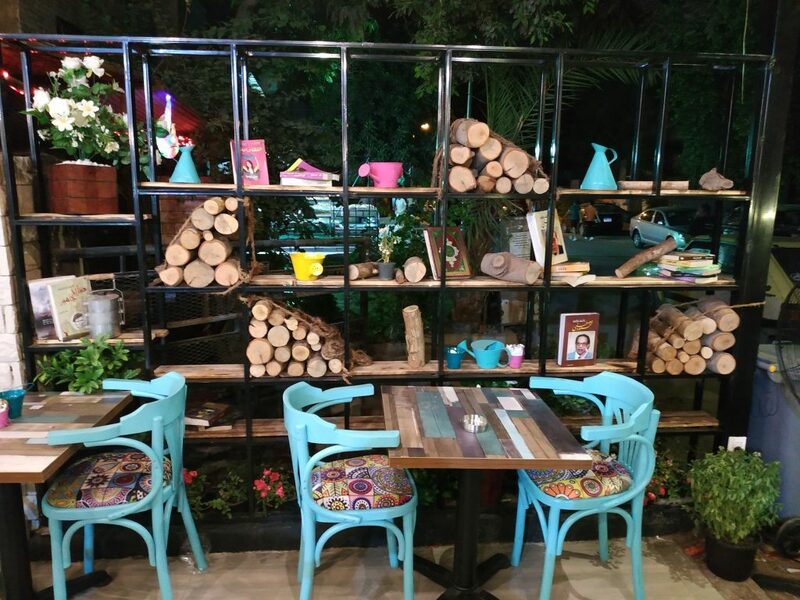 Right next to Thakanat El-Maadi Metro Station, comes a beautifully decorated restaurant that relies on a modern rendition of old decoration styles: Na2na2a. We especially liked their library of books and their pieces of chopped wood. You won’t find much of a seating area on the inside, but the outdoor seating area is quite comfortable. 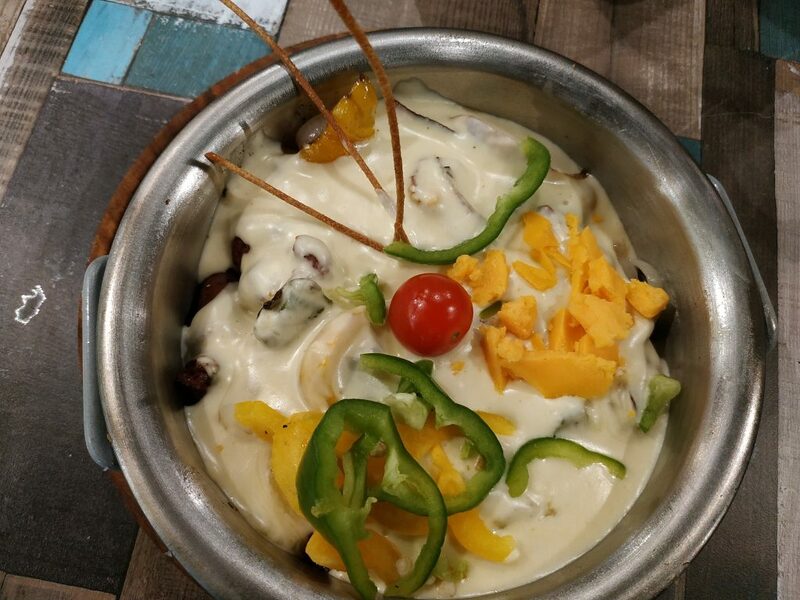 First up, we opted for the Shahyasa Pan (38 EGP), which was a mix of sausage, pastrami, and bell peppers, all topped with melted cheese and tasty spices. Despite it being served a bit too cold, we thoroughly enjoyed it. Next up was the Crunchy Pan (32 EGP), which is a dish of crispy fried chicken, cheese, bell peppers, and mushrooms. It wasn’t a bad plate by any means, but we didn’t find anything special about this dish, especially since the chicken tasted like it was store-bought, ready-to-fry chicken. But again, the melted cheese was just perfect, and overcame the not-so-good taste of the other ingredients. 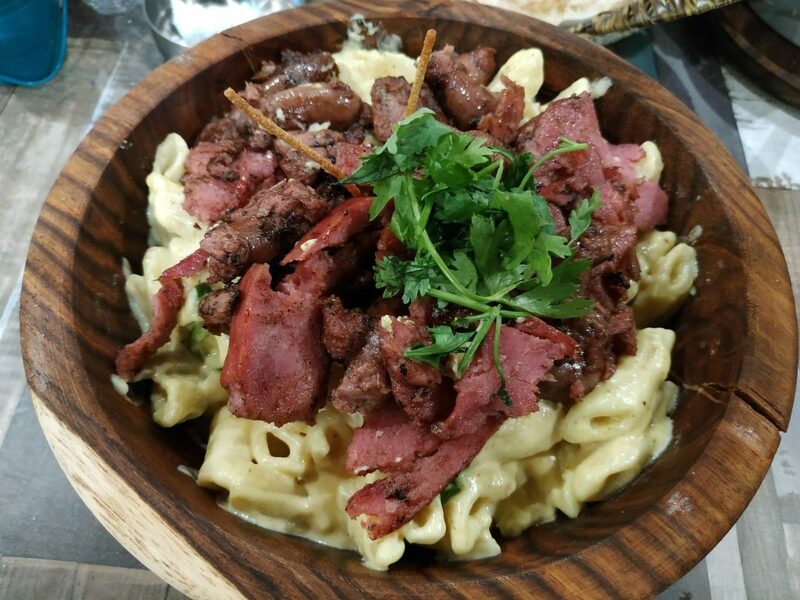 Our final savoury dish was the Khaltabita Pasta (40 EGP), which comes with sausage, pastrami, and cheese. The pasta was quite delicious, and the cheese was perfect. However, we were disappointed to find that the sausage wasn’t very well cooked, so we left it almost completely uneaten. That being said, no one came to ask if there was a problem with the dish, despite the fact that we left it almost as it was served. Moreover, the waiters weren’t very helpful or knowledgeable when we asked about the ingredients of some of the dishes. Moving on to the dessert, we opted for the Jouly Dish (39 EGP): buttered bananas and a molten cake with ice cream and nuts. The dessert plate was initially served while we were still enjoying our main course (another example of bad service). We accordingly asked the service staff to place the dessert in the fridge, so the ice cream wouldn’t melt. Unfortunately, the ice cream melted anyway and the bananas got a bit dark. All this sadly took its toll on the flavour, and the dish didn’t taste as good as we had expected, nor did it appear as appetising as it did when it was initially served to us. Overall, Na2na2a seems like a place with good potential, they just need to figure out how to deal with crowds in order to maintain their quality. We hope this place can go on to become better in future visits. Do not go there when it's crowded, there's just too many mistakes!